That was the sound — or lack thereof — after Stephen Curry landed hard on his head, back, and neck after falling over Houston’s Trevor Ariza during the second quarter of Monday night’s Game 4 of the Western Conference finals. The MVP laid on the floor for what seemed like an eternity. As the Warriors’ medical staff tended to the face of their franchise, fans of the sport and the NBA community alike held their collective breathes. This fall looked bad. Real bad. 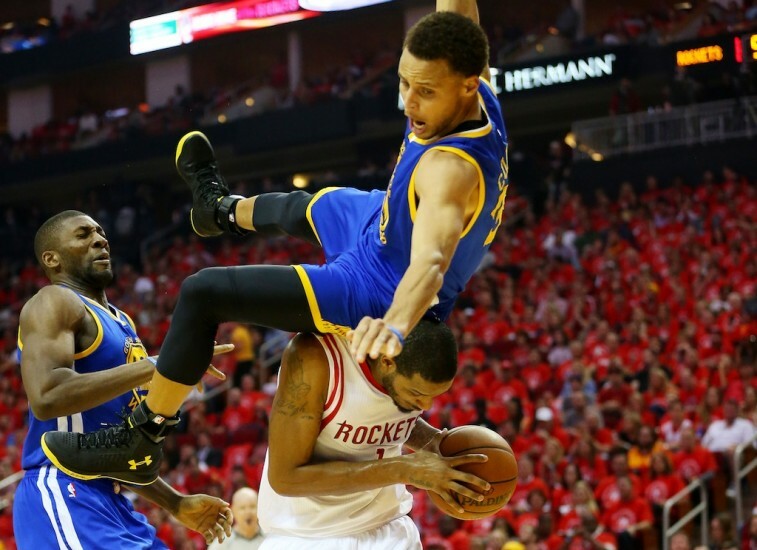 Curry flew backwards over Ariza and seemed to barely brace himself before contact. This had all the makings of a devastating injury. And this was one player the National Basketball Association could ill-afford to lose. Fortunately, it didn’t have to. Curry would get up and be escorted to the Golden State locker room. He would be diagnosed with a head contusion and his return to the contest would be questionable. And that should’ve been it. Except it wasn’t. After undergoing further tests, Curry showed no signs of a concussion, and he re-entered the game toward the end of the third quarter. Yes, you read that right. He re-entered the game. And from the moment this occurred, we couldn’t help but think to ourselves: This is not a good idea. There’s nothing like the competitive spirit of a true warrior. 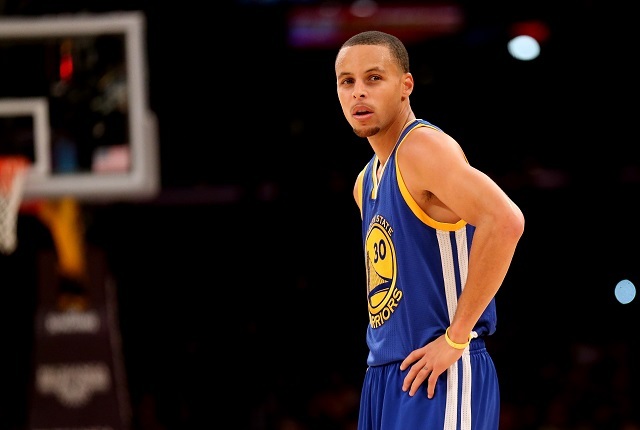 Curry believed he could help Golden State mount a comeback. He was cleared to play and he didn’t hesitate to return. Of course, it shouldn’t have mattered that Curry passed the test. The Rockets were dominating the game and the Warriors already held a 3-0 series lead.Why risk bringing Curry back onto the court? Could you imagine if something else happened to him? Under the circumstances, there was no decision to be made. The Golden State Warriors were foolish to put him back in the game. 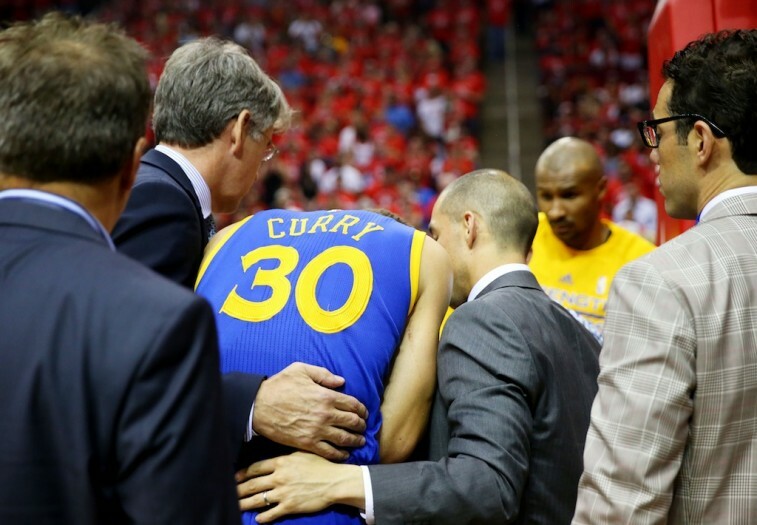 There’s also something else to consider — did the Warriors definitively know that Curry didn’t have a concussion? Golden State’s general manager Bob Myers suggested that was the case, however, there is reason to believe that that’s not entirely possible. Given what this analysis is suggesting, there was no good reason to put Curry back on the floor. He may have appeared fine after clearing the concussion test, but there was no way to be certain of any lingering symptoms. In the end, even with Curry’s return, the Rockets would take the game by a score of 128-115. With Game 5 back in Golden State, Houston still has a chance to make a historic comeback. And yet, in our opinion, it’s the Warriors who should feel fortunate. They may have lost the contest, but they didn’t lose their star player. And by taking the chance and putting him back in the game, they very well could have.